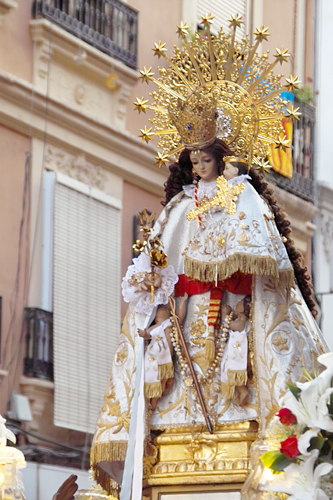 This past Sunday, a small procession wound its way through the streets of the barrio Botànic, which makes up (as one might suppose) the area around the Botanic garden. 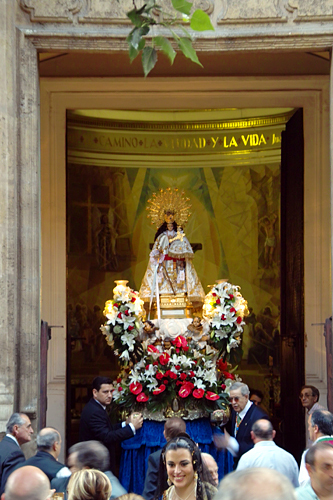 The event was in honor of Our Lady of the Forsaken, who seems to get more than her fair share of attention. Starting at Pl. 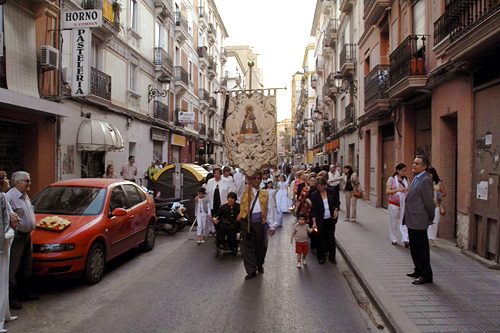 San Sebastien (location), the procession counted no more than 100 participants. It was kind of sad. 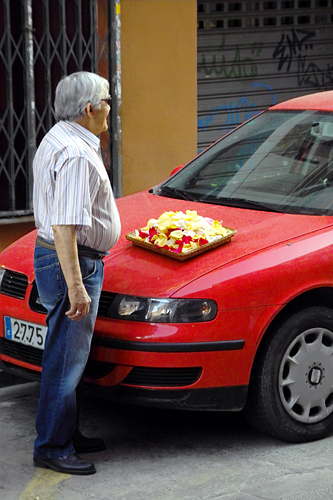 Only a smattering of neighbors showed up on their balconies to watch the virgin be carried down C/ Borrull, tossing about 16 rose petals at her. A far cry from the baby-tossing, crowd-surfing madness which occurred in her honor earlier in May.